Ok, a nice milestone. SaaStr-on-Quora has passed 10,000,000 total views, and over 1,000,000 views last month alone. We crossed 5,000,000 views about 8 months ago, i.e., we’ve doubled in the past 8 months. Those aren’t SaaS Outlier numbers (>=5x in 5 quarters or less) … but they’re not too shabby for something that’s not had a structured path to date. This represents only a part of SaaStr, and one distinct from the blog and the SaaStr events like The Annual. 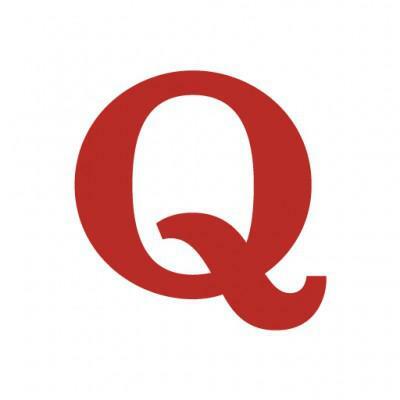 We’re working on ways to merge the two, including pulling more of SaaStr-on-Quora into SaaStr.com, and putting together The Top 1000 Answers from Quora into an e-book. Overall, we can safely say we now see up to 1,500,000 views a month on SaaStr content across various media. How old is too old to start a startup? I’m tired of running my (very) successful (VC funded) startup after 5+ years. What should I do? How do CEOs stay calm? Would you rather be CEO and sole owner of a 10 million dollar company or CEO and 10 percent owner of a 100 million dollar company, in terms of the lifestyle, security and options? What are the best-kept secrets about venture capital? As a startup founder, do you ever think you might have had a happier life had you lived life as an employee? When should a CEO of a startup stop “doing the work” and let the others do the work? Startup Founders and Entrepreneurs: What does it feel like to be the CEO of a start-up? Are the billion dollar payouts for executives justified? Why? Is Microsoft’s layoff a one-off case or are there other major tech companies likely to follow suit? As a startup CEO, how do you decide whether to keep pushing on with a new startup or throw in the towel? Career Advice: What are the real reasons some people get promoted and others don’t? How does Aaron Levie feel knowing he is down to a 4% stake heading into the Box IPO? I just made $30 million dollars from selling a company. How do I start my own venture capital fund with this money? From the perspective of a CEO, what are the most underrated skills most employees lack? What should everyone know about mergers and acquisitions? What is the single biggest mistake entrepreneurs make when starting up? I turned down a $160k + 0.4% equity offer in a rapidly growing company that just raised a $12 MM round, valuing the company at $50 MM. Did I make a mistake? As a CEO, what is an example of a good day and of a bad one? Where do most web startups fail? Is Y Combinator asking too much equity for 120k worth of funding? How many hours per week does a venture capitalist expect startup founders to work? What did you learn from your startup experience? Why was WhatsApp worth $19 billion to Facebook? How do you survive your first year as a startup? What percentage of entrepreneurs who exit at $100MM+ go on to found another startup vs. doing venture or retiring? What are great questions to ask about a startup company during a job interview? How could a software company with no revenues, little barriers to entry, and only 12 team members be bought for $100M? Starbucks Shuts Down La Boulange (June 2015): Why is Starbucks closing La Boulange? Why are VCs so adamant about warm intros? How much equity should a founder keep? Under what circumstances should a board fire the CEO? What did you do immediately after selling your company? What is it like to be a start-up founder? What is the average annual return for a startup founder? How do so many CEOs fire people on the spot without any apparent consequence? Should the founders invest their own money or get an angel investor instead? My girlfriend is asking me to choose between my startup and her. What should I do? What is the best way to deal with a VC who became very “annoying” after investing and taking a board seat, and adds more problems than solutions for a startup? What must every entrepreneur working on a SaaS/B2B startup know? Is “Don’t open a 150 IQ business if you’re a 125 IQ person.” good advice for starting entrepreneurs? Has Dropbox raised too much money? Is there a risk they won’t be able to IPO? How did you know it was time to sell your start-up instead of using financing to grow it further? Compensation: Silicon Valley Salaries: What are the details of your compensation package? Venture Capital: What are the most common regrets that venture capitalists have? Is entrepreneurship overhyped and glorified? What is a day like for a startup founder when the company is at its infancy, 6 months old, 1 year, and 3 year old? SaaStr Crosses 40,000,000 Views on Quora!